Bringing your photos inside is a step in the right direction but to keep them truly safe, you should store them in acid-free, photo-safe containers. 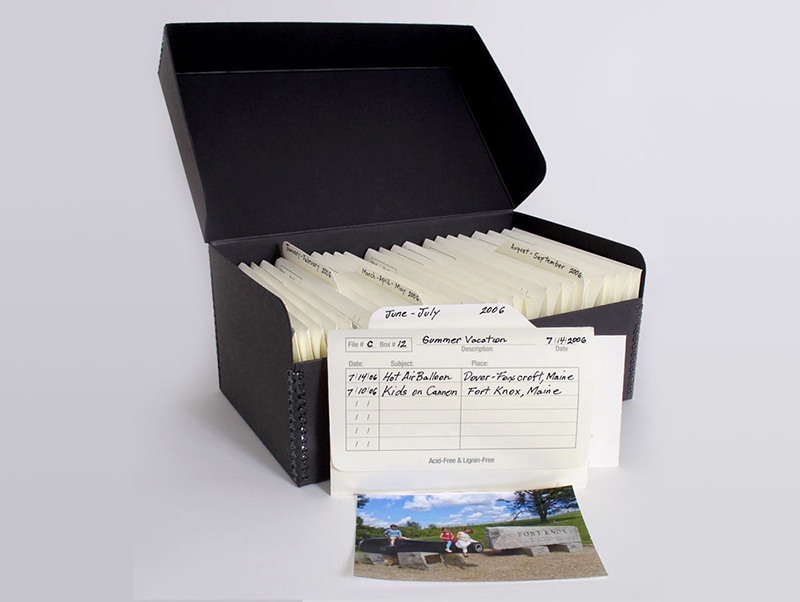 Archival Methods offers kits that allow you to label and file photos and negatives neatly in envelopes. There are places to record information on the outer envelope. If you aren’t ready to tackle organizing, you can keep your photos safe by storing them in acid-free containers available from places like Michael’s or The Container Store.